Image to the left taken from The Harley-Davidson museum exhibit’s website page. As a Ladson motorcycle accident attorney, I love visiting motorcycle museums. One of the best museums is the Harley-Davidson Museum with a current exhibit that is not to be missed. Collection X: Weird Wild Wonders of the Harley-Davidson Museum® runs through August 21, 2011, and is certain to be the most fascinating, intriguing, and exciting exhibition you’ve ever seen. 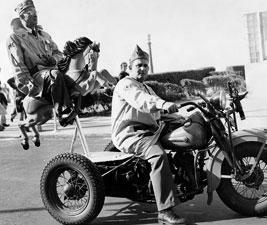 A variety of novelty and unique vehicles from Harley-Davidson as well as other manufacturers. Clothing and gear ranging from practical to stylish. 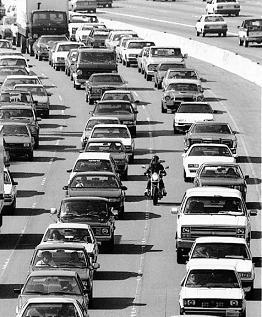 Photographs from the Harley-Davidson archives. Previously hidden historical objects and a large variety of memorabilia and artifacts from other collections. All types of art by motorcycle and Harley enthusiasts. Special activities for kids, including a secret code that needs to be broken. Open since 2008, the Harley-Davidson Museum is located in downtown Milwaukee, Wisconsin, and is open 7 days a week year-round. Hours are 9 a.m. to 6 p.m. Friday through Wednesday and 9 a.m. to 8 p.m. Thursday. The museum includes exhibits that highlight the people and machines that made Harley-Davidson what it is today, including over 450 bikes and thousands of artifacts. The Shop, the museum’s gift shop, is across the street and features plenty of Harley-Davidson themed items. 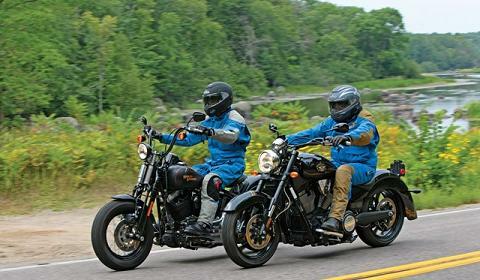 The Harley-Davidson Museum also offers educational programs for all ages, including motorcycle maintenance classes, earning a Boy Scout engineering merit badge, and touring the Pilgrim Road Powertrain Operations Facility. In addition, the museum offers children’s birthday parties and tours behind the scenes. For more about the museum’s exhibits or programs, click here. We see riders in Hanahan, Folly Beach, and Ladson who ride some beautiful Harleys, and we’re looking forward to seeing this exhibit. Have you been to the Harley-Davidson Museum, and what was your favorite artifact or exhibit? Do you ride an American Suzuki ATV or know of someone who does? According to an article on WalletPop, published on March 15, 2011, American Suzuki has just recalled nearly 1,350 of their ATVs because of issues with the engines stalling. The underlying issue of the vehicles stalling lies in their circuit board, which has been reported to fail, causing low battery charge. Image above of a 2009 LTZ400 QuadSport ATV, taken from ATVRiderOnline.com. 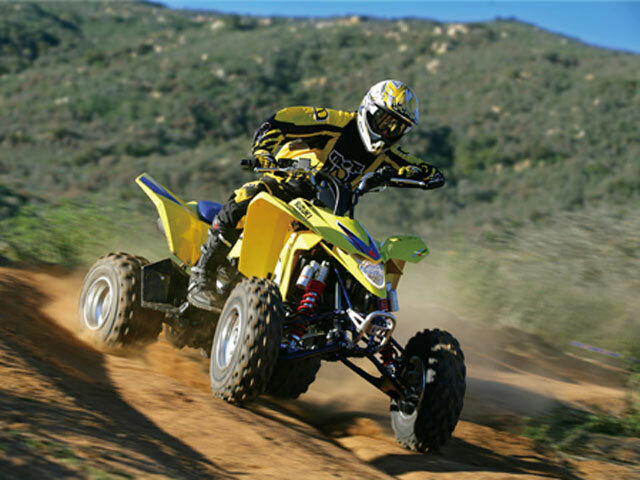 The recalled products include the 2009 LTZ400 and the LT-Z400Z QuadSport ATVs. If you have one of these vehicles or know of someone who does, discontinue operating the vehicle and contact your Suzuki ATV dealer immediately. Share this information with your followers on Twitter. Welcome, Dawn Price, the newest member of the Uricchio Law Firm! Dawn Price just joined the Uricchio Law Firm as a paralegal and we couldn’t be happier to have her! If you call our office and hear an unfamiliar voice on the other end, it’s likely Dawn. We asked her to prepare a little post about herself so we can acquaint our fans and clients. Enjoy! I was born and raised in Long Island, New York and graduated from the State University of New York at Stony Brook. Shortly after graduation, I relocated to the South, where I have been proud to call my home for the past 20 years. As I often say, I may be Northern by birth, but I am certainly Southern by choice! Before entering the legal field, I worked in various aspects of office administration, property management, real estate marketing and sales, container ship cost control operations, and elementary education. I just received my Paralegal Certificate from Trident Technical College and am so fortunate to join the Uricchio Law Firm. Everyone is so helpful and knowledgeable. I am so glad to be part of this team! 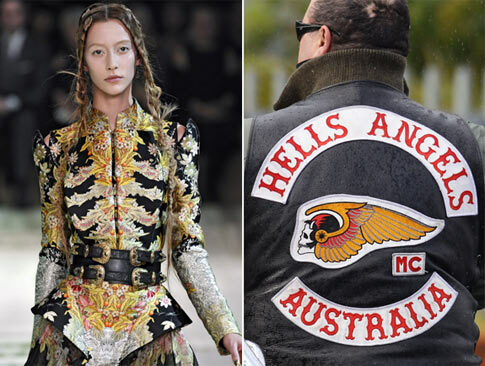 International super-star designer Alexander McQueen should have done his homework before incorporating the infamous Hells Angels name and “Death Head” logo into his latest fashion line. Just eight days after the Hells Angels filed a lawsuit for violating its trademark, the club has reached a settlement with the fashion house and upscale retailer Saks Fifth Avenue and Zappos.com. **Image below taken from nydailynews.com. 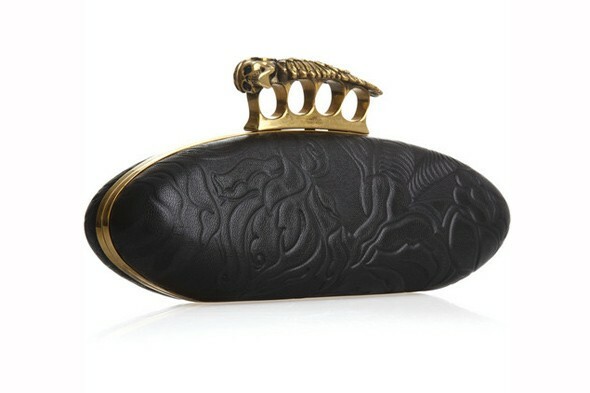 The defendants have agreed to pull all the merchandise referencing the Hells Angels, including a knuckle-duster ring (retailing for $495) and a “Hells Angels Jacquard Box Dress” (retailing for $1,565). But it doesn’t stop there – the stores will also be required to recall any merchandise that has already been sold and destroy it. It takes much more than cash to wear that logo! Did you enjoy this post? Share it with your friends on Facebook.